Anthony Campanella ’06, ’09 is the recipient of the 2014 Scott Amos Recent Alumnus of Distinction award. A double Dolphin who obtained his bachelor’s degree in physical education-sports administration and a Master of Business Administration. Campanella is the founder, partner and Chief Operating Officer at Gamedayr.com and Gamedayguru.com LLC. 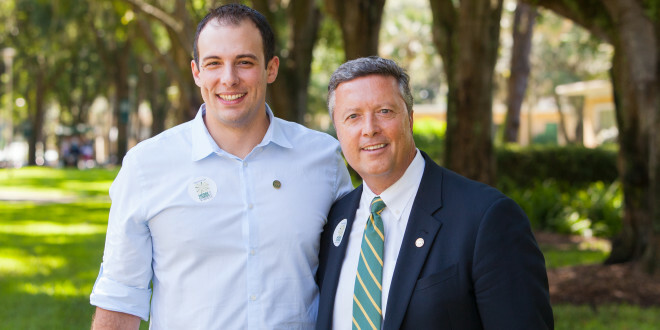 Campanella played football while attending JU and is extremely passionate about “America’s Sport.”After graduating from JU heworked at Fletcher High school as a science teacher and football coach. While there, he reignited his passion for sports and honed his social skills. Campanella was recently acknowledged as one of the Volusia County’s Business Journal “40 under 40” at the age of 29. The honor is given to business owners impacting the landscape within their company’s field and the local community.